A windows note pad clone. A small word processor which contains more features than the plain vanilla windows notepad. Supports larger file format comparing to notepad and also have some useful features of wordpad. Upcoming updated version 2.5 which will be released soon will feature more enhanced functions and tools do everyday work. Version 2.3 is available now, v2.5 is coming soon. All links are updated and redirected to new Zem Soft site. Some minor interface bug fixed. Web support for easy update. Check for update, visit homepage link is now on the help menu. 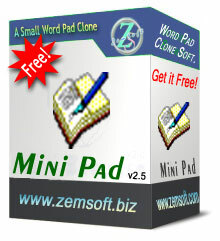 Mini Pad now derived to word pad standard. Multiple fonts can be used in a single document. New font loading menu with progress bar indicator during the font loading. New font size selection menu. Now documents can be saved as rtf format. New formatting section in the toolbar. New super smooth design of the toolbar. More new icons and features. New word count and screen info section. 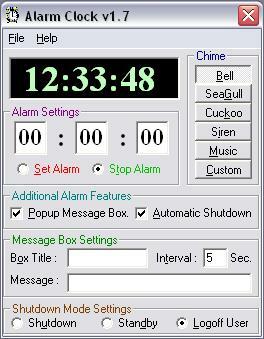 New insert date time feature. Rtf files are now supported. Faster loading new executable file. Now save options are enabled. 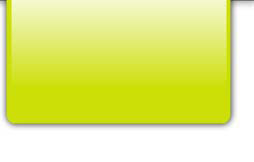 New status bar with indicators of the caps, num and scroll lock. Now the main window can be maximized. Improved file open dialogue box. The first original released version.